For electrical power stations and other industrial facilities, meeting production targets in a cost-effective manner requires the equipment involved in the generation and delivery to perform effectively and reliably. Operating equipment wears and is either in the process of wearing or might not be operating because of wear. It is worn out. As a result, reducing wear and consequential damage is a critical aspect of meeting target production costs. Fortunately, parts rarely fail without some warning sign, and predictive maintenance can help to maximize uptime, usually at little or no additional expense. Increasing uptime can often be achieved by making better use of what is available. Achieving this objective involves more than technology. An essential aspect is proper training to improve awareness of why the task must be performed correctly and how to do it correctly. It also includes making tasks easier to ensure compliance and to achieve superior performance. Rotating equipment contains bearings that require lubrication. Providing the correct lubricant at the right time and place can be one of the most cost-effective ways of maximizing equipment uptime. Doing it correctly is just as easy as doing it wrong. Unfortunately, more is not always better and in many applications overfilling with even the "right" lube can cause failures. Fortunately, doing it right is generally simple to perform but it does require that a number of essential elements are in place. For example, the equipment must be maintainable, the right lubricants must be used, the lubricants must be applied correctly, and there must be effective condition monitoring. Unfortunately, it is also easy to do it wrong and to make improper substitutions, even with good intentions. Improper substitutions can cause immediate compatibility problems or bearing seizures but in the longer term may cause stress corrosion failures, worker illnesses and possibly environmental damage. "Mechanic in a bottle" after-market additives and supplements require careful review for any impact on waste oil recycling and/or disposal requirements. It has been documented that, in Canada, tribological losses exceed $10 billion a year and 25 percent of those losses could be saved by simply applying known technology. Losses in the United States are expected to be about 10 times higher based on the population differences. Only nine percent of rolling element bearings operate long enough to achieve their design life. 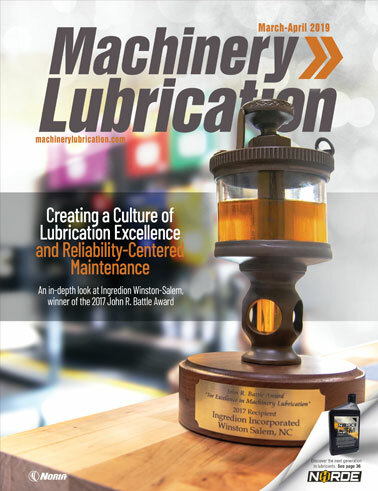 The leading cause of failure, by 43 percent, is improper lubrication followed by improper mounting at 27 percent. Both are preventable. Contamination causes 70 to 85 percent of hydraulic system failures. The Electric Power Research Institute (EPRI) found the leading cause of motor bearing failures was bearing-related, at 41 percent. It also found that boiler feed pumps did slightly better with 49 percent of the failures related to tribological problems. The costs of tribological deficiencies are largely unappreciated by decision, which can be attributed to a lack of awareness of the true costs and solutions. Contributing factors may include the fact that many diverse work units are typically involved which can have systemic barriers to improvement. The barriers are commonly caused by conflicting budgetary goals and/or objectives. They are compounded by disincentives to change and/or re-engineer. Further, the root cause of a problem can often go unrecognized because bearings are able to perform for years with inadequate lubrication. The machine will likely experience an early failure because of the damage; once it occurs, it's not reversible. Other associated economic penalties include higher friction losses and waste. This can be compounded by the fact that if only the capital costs pertaining to the lubricants themselves are considered, they are often insignificant. For this reason, they are sometimes mistakenly assigned a low priority. For example, a large power station might have a hundred different stock codes for lubricants in a variety of package sizes, but the annual cost might only be in the tens of thousands of dollars. Unfortunately, the maintenance costs to apply such lubricants are at least an order of magnitude higher, and the implications of a failure are also higher. For example, preventing a derating, trip, overspeed, feedpump failure or another significant failure should be sufficient to justify a review. Using the wrong lubricant such as a thread lubricant that might cause stress corrosion cracking has multiple implications. The systems that are in place are rarely adequate to prevent such problems. 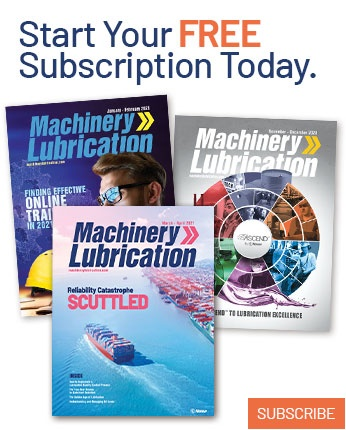 In the majority of cases, the cost of a bearing failure, valve malfunction, lube labor costs or production losses exceed the cost of the lubricant. Consequently, the focus should be on maximizing equipment uptime so the initial cost of a lubricant is just one factor to be considered. Regaining control requires a total appraisal of the lubrication cycle, from storage onsite to disposal. Oil rooms, lubricant distribution, greasing provisions, fluid top-ups, lubricant maintenance, filtration purification, lubricant condition monitoring, training of lubricators and used lubricant disposal are some of the factors to consider. The appraisal will cover equipment lubrication for the reactor, steam turbine and auxiliaries, and the balance of plant equipment including emergency and standby power generation. Lubricants included will be mineral oils, synthetic lubricants and greases, as well as antiseize compounds and the phosphate ester fire-resistant fluids used in turbine control systems. Purchase issues such as training, specifications, approving suppliers, selection criteria, independent testing, QA, ISO 14000 and "green" issues, worker safety and lubricant reuse and/or recycling can be included as well. Lastly, lubricants and fluids for electrical equipment such as transformers, switchgears and breakers can also be covered. Although varying from site to site, methodology typically includes the creation of a working team of four to six people with assistance provided by a discussion leader or one of the participants. If more than one site is involved, a contact may be required for each site; however, it is suggested that unless the issues are generic, only one site should be reviewed at a time. Initially, this would involve sharing information, which can be accomplished without conducting face-to-face meetings. The next step would be a one- to two-day site visit to exchange information, identify priority items and to agree to the timelines. This should be in terms of weeks or months, not years. A review of the lubrication-related equipment and lubricated components at the site will follow. The deliverable would then be a report outlining any specific items of concern, written in general terms suggesting improvements and how change can be implemented. Some actions could be expected to be taken after approximately six months while others take longer to implement and verify. Drastic or significantly different approaches or products should first be conducted on a trial basis on a minimum number of machines, preferably those with less impact on production. Continued assistance should be provided during the implementation phase. It is important to consider who or what work group pays the incremental cost for a more cost-effective product. Overzealous or inappropriate cost control can jeopardize effective implementation of enhanced maintenance practices. Who pays for condition monitoring equipment, or better alignment equipment, or a better synthetic gear oil? 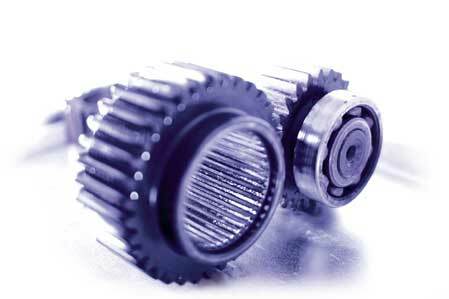 Consider this example of what not to do in a coal pulverizer gearbox application: A polyalphaolefin (PAO)-based synthetic gear oil had a proven payback based on energy savings for the motor power consumption of 120 days. This did not even consider the benefits of longer life, less wear, improved safety, and possible greater savings by going down a grade in viscosity. It was not done because the maintenance department would pay for the more expensive oil; however operations got the benefit. Management must become more involved. One possibility is that a percentage of operating costs (or another measurable figure) be set aside for cost-saving improvements and that the projects be rated by some criteria or funded based on the decisions of a committee. As a reminder, the focus should be on actual quantitative improvements, not just consolidating or stocking fewer lubricants. The emphasis should be to use the right product in the right amount at the right time. Doing nothing is a decision and also has a cost implication. A better solution is often easy to implement and requires no new research or risk-taking. Appropriate technical training, and fostering a learning and improving work environment are key initiatives.